A few weeks ago I had the chance to attend the dedication of the new building for the Girls' Transition Home. 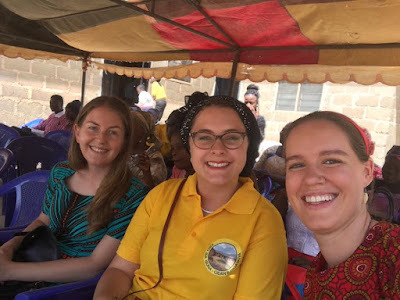 This is the ministry that two of the girls at my compound are directly involved with and I'd been hearing about preparations for the dedication for weeks! Last year when Dad and I were visiting Nigeria and I was still in the application process to come and serve with SIM, we were able to visit the old Girls' Transition House and meet the girls. I knew that I wouldn't recognize all of them again or remember their names, but I was excited to see them again. When we arrived, one of the girls showed us around the new building. It's divided into two long halls, one for the girls in middle school and one for the girls in high school, with six rooms in each hall. The girls live four to a room, which they like so that their friends and sisters are nearby. There's also a common room in each hall for discipleship groups to meet or for girls to hang out, and a small study room. In the future, the ministry would like to build an additional building as a vocational training room to teach the girls skills like sewing, baking, and hair dressing. Outside, the place is surrounded by a wall of cement blocks to keep out stray animals, and beyond the wall there is plenty of land for farming. The girls were out there earlier this summer to plant maize and various fruit trees and already they're getting some of the harvest! Once the tour was finished, we gathered in chairs under awnings set up in the courtyard. 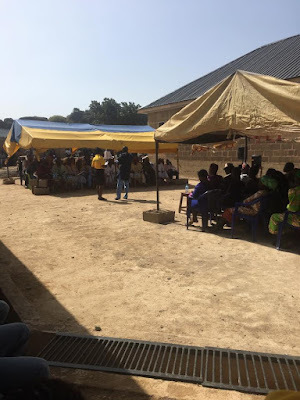 Afterwards, several people gave short messages of blessing and admonition to the girls, including the local church council leader, the president of our church denomination's wife, and SIM and Nigerian leaders of this ministry, and even the tribal leader of the surrounding community. You could really sense that this project has God's blessing and that the community is welcoming to these girls. Jess ended up sitting with some of the girls during the program. They've really taken a shine to her! True to Nigerian fashion, after the ceremony, we were all taken inside for a meal of fried rice and a piece of chicken along with a soda. With all the people to feed, I'm sure it took an army to cook that much food! Then, as we were driving the forty-ish minutes back to Jos, we saw the girls carrying the plastic chairs they'd borrowed back to the church so they'd be ready for Sunday morning service the next day. Carrying a stack of chairs isn't as hard when you can carry them on your head! Honestly, this land and the money to build the Girls' Transition Home was such a huge blessing! Finding the right piece of land took several years and during that time, a lady was generous enough to allow the 16 or so older girls to stay in her vacant home for free. 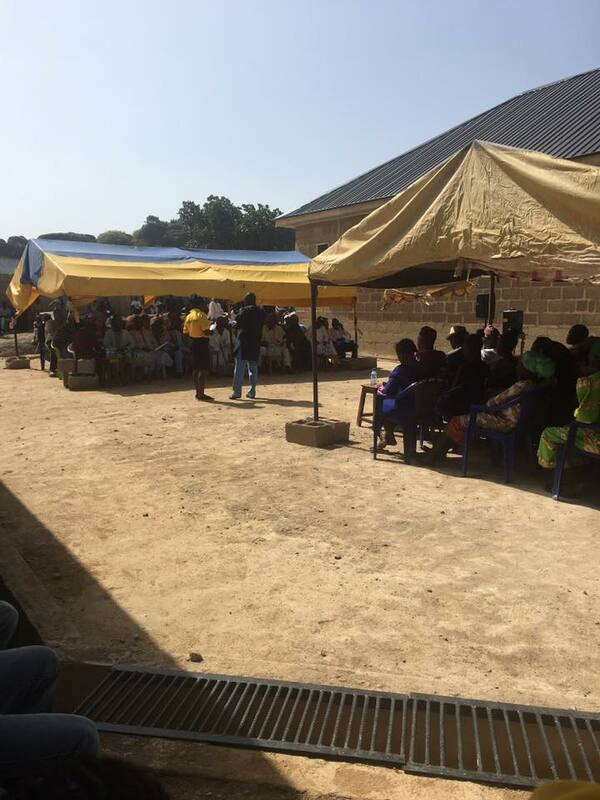 Now that the permanent center has been built, the younger girls have graduated from the mixed-gender care center closer to town and have moved in to the older girls' house. There is now room for over forty girls! That means there are a lot of school uniforms to buy at the beginning of each school year, that's a lot of rice and yams and vegetables to buy for their meals each day, and that's a lot of young hearts to care for. Pray with us that God will continue to bring in the finances and also bring a couple to serve as live-in house parents.